First time at Hot Flow Yoga studios? Welcome newbie, to our amazing Hot Flow Yoga Studios. 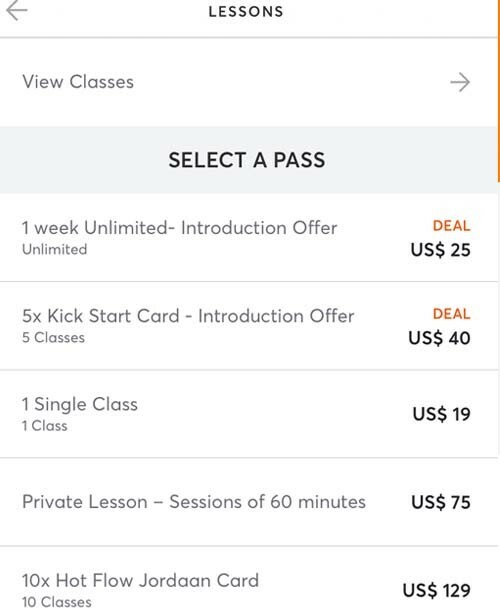 We are very excited to have you here on this page, where we will show you everything you need to know before signing up for your first class. This page is dedicated to help you navigate through our studio, get a closer look at our recommended beginners classes and give you all information on how to prep for your first class. If you’re new to the world of Hot Yoga Flow, it is very important to know that Hot Vinyasa Yoga is quite challenging. More challenging than regular yoga or even some gym workouts. Don’t give up though! Your first lesson might push your limits, but your second lesson will be far easier. Trust Us on this! Make sure you inform the instructor that you’re a first timer in our studio. This way the instructor will keep a closer eye out on you and guide you through your first lesson. In case you experience dizziness or fatigue during the class, we encourage you to find comfort in child’s pose. Your instructor will give you their undivided attention, but you know your body best! Hydration is very important! Make sure to drink enough water before (1liter), during (small sips! ), and after class (ex. Coconut Water is great after Class). Ideally, you would want to avoid eating anything up to 1-3 hours beforehand, as practice on a fuller stomach can feel heavier and more imposed. Stretching on an empty stomach allows for farther reach, depth and focus. If you’re prone to low blood sugar, have a banana or bring an electrolyte drink (ex. Cocounut Water) with you to practice. You don’t have to bring anything to the class, the mat and the towel are included in the price. Absolutely! 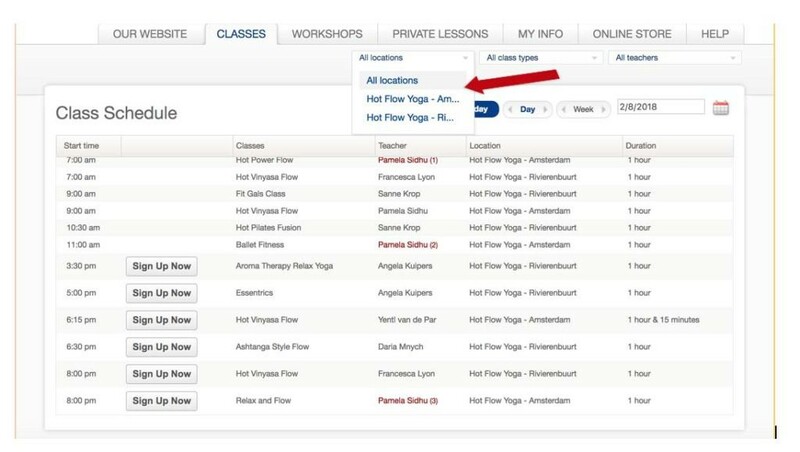 Hot Flow Yoga’s classes are a great place to start and to continue challenging yourself. If you don’t love Vinyasa after your first class, you may want to try other teachers as one class can vary significantly from the other. If you like to focus on the power of breathing and flowing movement through poses, you will definetely enjoy the Vinyasa style. When can I expect to see progress in my practice? Each person will respond differently to yoga depending on numerous factors such as age, physical condition, body history and genetics. Rather than measuring “progress”, it is far more valuable to simply embrace where your practice is at present and let go of any self-imposed goals. Yoga is truly a life-long pursuit; one that you can explore as long as you live as you will never learn all there is to know. Yoga practice is about the journey, not the destination. Please arrive 10 minutes before class begins to relax and unwind on your mat. Please leave your shoes at the door – we practice with bare feet in the yoga room. Try to avoid any food three hours prior to class. Drink plenty of water already before class. Go to the bathroom before class. No talking in the yoga room. Wear comfortable and appropriate yoga clothes, that you can move freely in and allow the skin to breathe. Avoid wearing strong cologne, perfume or essential oils. Respect your body and others health, if you are sick or on the brink of a cold, please stay at home. Have good hygiene before you practice, the showers are there for you to use even before class if you need a quick rinse. Firstly, choose your prefered studio and click into it. This will take you through to our booking page where you can create an account, either as a first-time joiner using your email, or linked up with your Facebook account. We will never post anything to Facebook on your behalf – it’s just a connection service to quickly identify you in our system. 1. 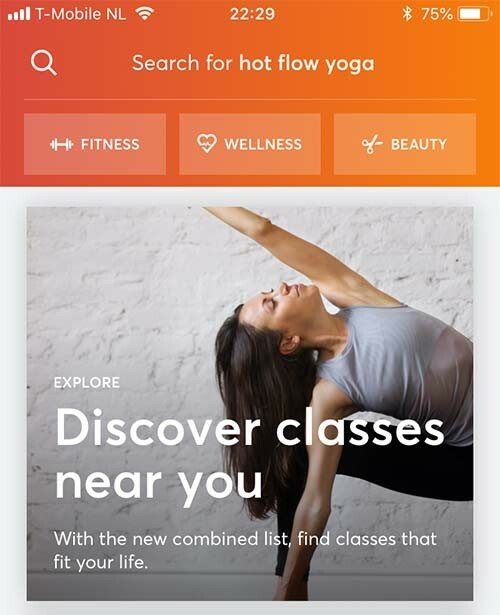 Download the free MINDBODY app on your phone – that way you’ll be able to book classes anytime you want, with just a few taps. Sharing your location may help. Please note that the studios in Zuid and Rivierenbuurt are under the same MINDBODY account; on the desktop version, you can toggle between the two in the drop-down menu located above the schedule. A complete profile will make your check-in process a breeze. Add in your picture, birthday, mobile number, emergency number, and, optionally, save your bank details for quick and easy renewals. Having up-to-date info helps us in getting ahold of you in case of last-minute cancellations. 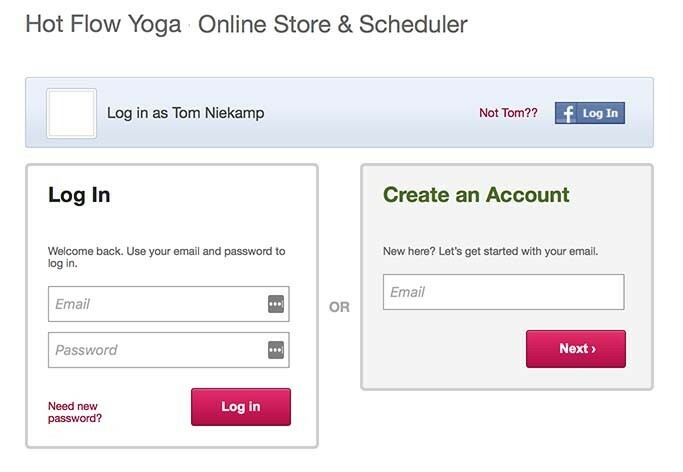 Once your account is all set up, you can go ahead and start booking your practice! If you need more information, please check our frequently asked questions (f.a.q.) section and find out more about what to expect for your first class! We encourage first timers to introduce themselves to the instructor and place their mat on either the firstor third row from the teacher. 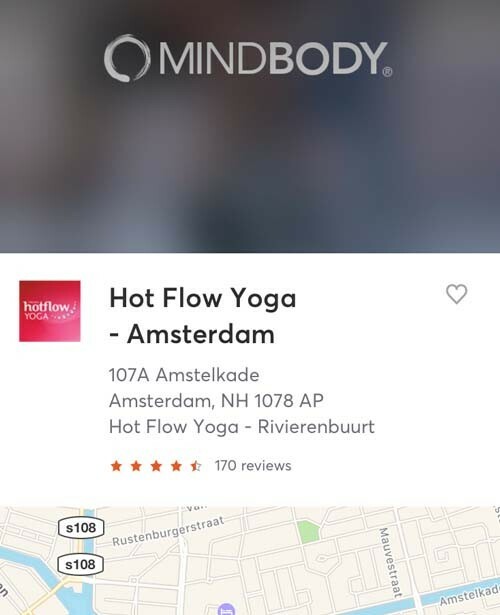 Because Rivierenbuurt and Zuid are under the same MINDBODY account, we place a code before the name of the practices so you can make the correct purchase. For example, RB – €25 Intro Offer (Rivierenbuurt) and ZUID- €25 intro offer. At all of our studios, you may pay either online using your credit card, or directly at the studio using your pin card. If you don’t have a credit card, you can still book your practice but choose the option “book as unpaid” instead. This way, your spot is reserved, and you’re able to pay at the studio once you arrive. 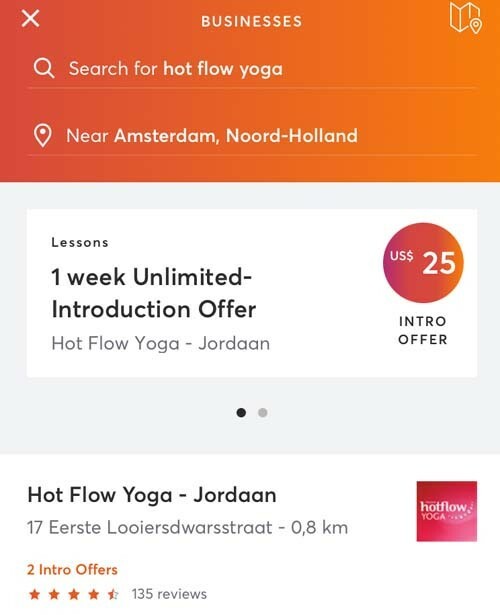 These offers are available for a one-time-only purchase only, either one or the other, as a first-time visitor to Hot Flow Yoga. Introductory packages are only valid at the studio location where they are purchased, only for the duration specified. We are very small and cozy studios, compared to the big and crowded yoga studios out there, and because of this, we have limited spaces reserved for our beloved yogis to enjoy the Hot Flow Yoga experience. This is why we ask you to please book your classes beforehand, or ideally, book all of the lessons you are planning to take in the near future, which you are able to commit to.